I wrote this small script to check the value of stocks with Perl. It doesn’t shows the value of the stock in the pre and post market, but it does its job. Here is an usage example. This entry was posted in UNIX and tagged Dow Jones, linux, Open Source, Perl, UNIX, Wall Street on July 28, 2010 by Xavi. 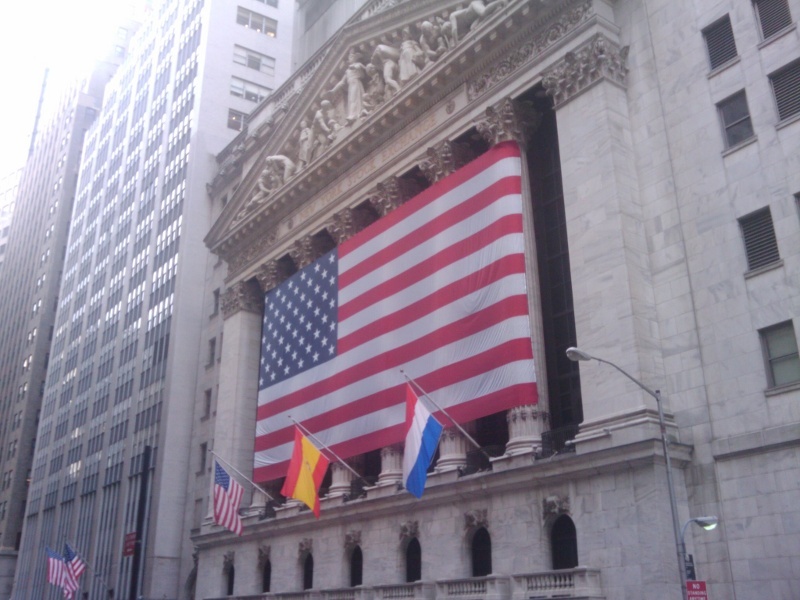 I was walking through Wall St. this morning and couldn’t help but notice that they had replaced some of the american flags with the flags of the FIFA World Cup finalist. Good to know the NY Stock Exchange is not only about money and profits. The Dow Jones index has been going up for three straight days, let’s see how it opens up on Monday after a new World Cup champion. This entry was posted in Football, News and tagged Dow Jones, Football, New York, new york city, nyc, NYSE, soccer, Wall Street, World Cup on July 9, 2010 by Xavi.